Looking for an MRO Vendor that buys American? In 2011, more than $2 million worth of fun pet products were shipped to American Walmart locations by a Chinese supplier after being made in a factory not authorized by the company, according to a 2013 New York Times report. Instead, they were produced in a factory that had not been inspected or approved by the company. The items arrived in the United States and quickly resulted in an avalanche of returns and complaints because of the lack of quality. In 2013, Boeing’s 787 airplanes were grounded for months after problems with their lithium-ion batteries. The 787’s development was beset with a variety of outsourcing-related problems after significantly increasing outsourcing from its previous models, according to a Forbes article. Clearly, moving production overseas comes with risks. Also, various surveys in recent years have confirmed American consumers still prefer to buy American products when they can. Here are four reasons buying American matters. It’s no secret American-made products have a reputation for having better quality. These products and their workmanship will save you money by preventing downtime and other problems. A Boston Consulting Group survey found this reputation doesn’t stop at the U.S. border, as 61% of Chinese consumers would pay a premium for American-made goods and 82% believe they have higher quality. When products are made in the U.S., it generally is much easier to replenish stock. Imports from Asia, for example, often take from two weeks to a month or more to arrive by ship, not to mention time for customs clearance. The proximity of American suppliers makes it easier to maintain relationships up the supply chain and provides for easier tracing back to the source if there is a malfunction or other problem. Also, it’s difficult to ensure proper working conditions, including wages and safety standards, are being upheld overseas. 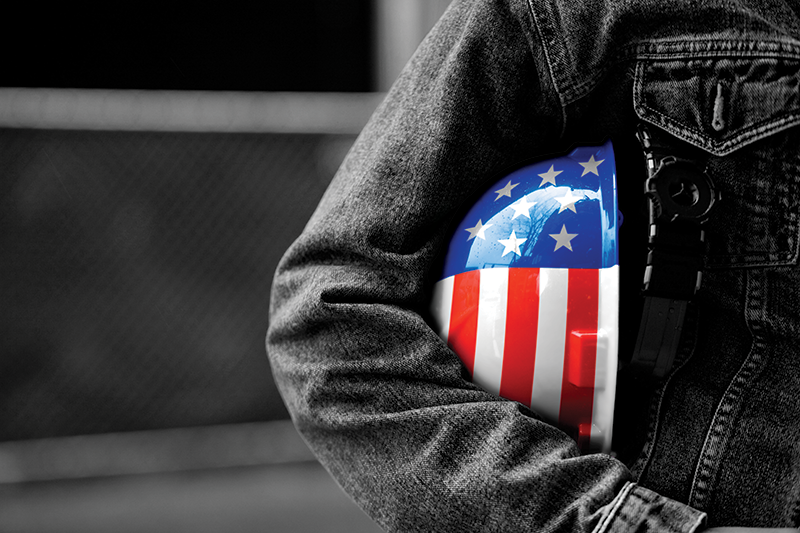 American-made products help provide jobs for today’s American workforce and keep jobs here for future generations. American manufacturing jobs also create a cycle that helps grow our economy and create more demand and, thus, more jobs. Although most people probably think manufacturing jobs have been in a freefall for the last several decades, there actually has been a significant rebound since 2010, with 31,000 manufacturing jobs added in November around the country. American businesses and workers are the backbone of our nation, and keeping manufacturing here helps maintain our economic independence. Subscribe to the Kimball Midwest Blog!